MasterSim is an FMI Co-Simulation master and programming library. It supports the Functional Mockup Interface for Co-Simulation in Version 1.0 and 2.0. Using the functionality of Version 2.0, it implements various iteration algorithms that rollback FMU slaves and increase stablity of coupled simulation. 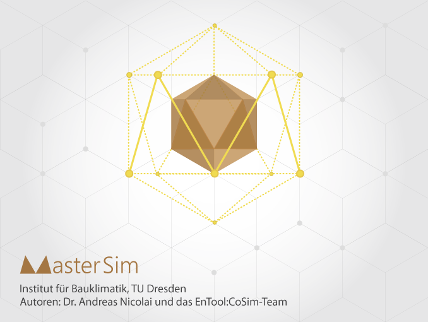 MasterSim is actively developed at the TU Dresden, Institut für Bauklimatik (see contact page). First of all, it is free! The complete source code is available on its SourceForge-project page under an open source license. Source code comes with few dependencies on other libraries (only C/C++ standard library and Qt for the user interface), which ensures long lifetime and compatibility for many platforms. Details about these features can be found on the documentation page or on the SourceForge-project WIKI-pages.